Weather can only be predicted to a certain degree. If you enjoy hiking, camping or mountaineering, you are bound to get caught in an occasional (and unexpected) downpour. 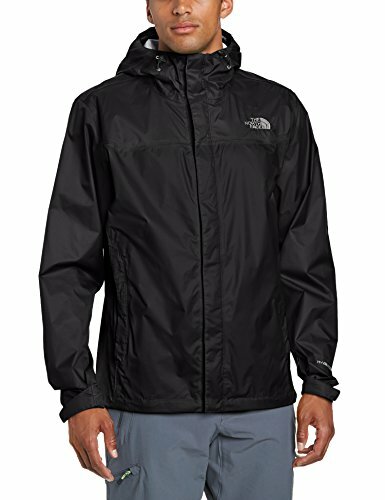 Best North Face rain jackets could be the real solution to save you from the downpour. This can be a miserable and uncomfortable affair if you are not adequately prepared. In situations like this, preparation equals happiness! Today, we will examine three of the best jackets for rain from North Face. While the features and uses of these rain jackets may vary, they do share one common trait: they will keep you dry. All three of these rain jackets use a HyVent membrane that repels rain while allowing perspiration to evaporate. The Venture and Dryzzle jackets are our lightweight options. Easily stored and breathable, they are great for camping, hiking or biking trips. You can whip them out in a flash, keeping yourself dry and happy. For a more robust option, we have the Varius Guide jacket. Designed for rougher and more unforgiving climates, this is a raincoat that is extremely durable and warm. Before you read any further, ask your self this: what sort of activities do you plan to do while wearing a raincoat? Is it for day-to-day use, casual camping, or mountaineering expeditions? Your answer will determine which rain jacket is the best fit for you. All three of these rain jackets utilize a similar design. They all use the HyVent membrane for effective water resistance. They all have fully adjustable hoods and underarm vents. The differences come in small, yet significant forms. The Varius Guide varies the furthest. Its robust and highly durable build surpasses both the Venture and Dryzzle. This is a jacket that was designed to withstand the elements, from high winds to driving rain. The Varius Guide is a versatile option because gives users options. It can be a summer jacket (though it is a bit bulky for that) or a winter shell. 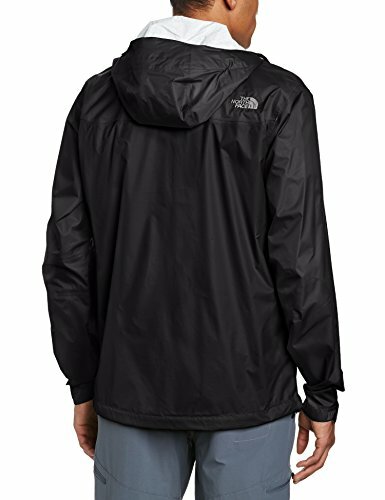 It is compatible with several North Face liners (Denali, Polartec Liner, Nuptse Down Liner), offering warmth and comfort. Some have said that it may be excessive if used as only a raincoat. Keep in mind; this is designed as a robust product to combat elements. It’s not meant to be worn walking down the street to the grocery store. If compressibility is an important factor for you, the Venture Jacket is your best option. This lightweight rain jacket can fold into its own pocket, rendering it the size of a ziplock bag. The only thing that doesn’t fold in the hood. Regardless, this is very handy for those who are camping or hiking and aim to pack light. Likewise, the Dryzzle is also extremely packable. It doesn’t pack into its own pocket like the Venture, but you can press it down to a fairly small size. The Varius Guide is not ideal in this section. Due to its more robust build and heavier weight, it will not get nearly as small as the other two models. However, that was never part of the design. The Varius Guide Jacket was created with the intention that it would be worn at all times during expeditions and not stowed away. North Face is an outstanding brand that offers quality products for those of us who want to stay comfortable while we explore. These three raincoats are no exception. They provide an immense amount of quality and design that will serve the needs of a wide range of users. The prices aren’t nearly as high as Gore-Tex products, yet they will provide users with the comfort and features they need to stay dry while on the trail. 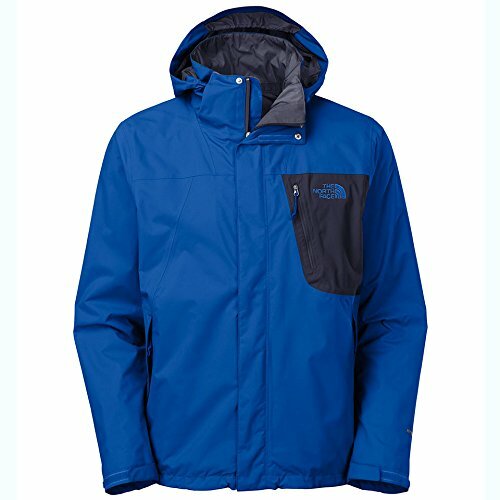 North Face offers excellent value with all three of these jackets. The Venture and Dryzzle provide more lightweight options. The Venture jacket is designed with comfort in mind. With a brushed chin guard lining and excellent fit, this is a rain jacket that won’t scratch. The only real complaint this jacket has received is that the sleeves can run too long. A few have stated durability to be a concern, but that is because they washed the Venture jacket with soap. The chemicals in soap cause parts of the jacket to break down, particularly the underarm vents. Read the instructions on the jacket’s tag before washing! This applies to all three of these raincoats. Otherwise, they will all suffer the same issue. The Dryzzle Jacket is a lightweight hybrid between the two. Like the Varius Guide, the Dryzzle is versatile. It can be used in both warm and cold conditions, with the option of an interior liner (purchased separately). Similarly, it is very durable, despite its thin material. 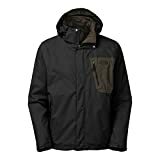 Since we are talking about rain jackets, water resistance is naturally a huge factor. There have been no issues reported with any of these models regarding their waterproof skins. The Venture has survived eight hours of constant downpour. Not a drop got in. The Varius has withstood high winds, sleet and driving rain. The user remained warm and dry. The Dryzzle has endured everything from light to heavy rain. Still, water did not penetrate the surface. And if they ever stopped being waterproof? There is a lifetime warranty on all three products. Contact North Face and they will fix the issue in a timely fashion. An added bonus of these rain jackets is that all three of them function as excellent wind shells as well. This has confused many people. How can something be breathable and windproof? The air vent technology has been placed in strategic locations in order to avoid allowing wind to soar inside. Wind does not penetrate the HyVent breathable fabrics. However, it is still recommended to layer up underneath all three of these rain jackets in order to maintain maximum warmth. When it comes to warmth, the Varius Guide is a clear winner for the simple reason that it was built with three seasons in mind. The flexibility and durability it provides allow users to customize the jacket based on the weather outside. It can function as a raincoat and as a winter shell. You can’t really beat that. The Dryzzle and the Venture are warm within the climates they were designed for. Ideally, they will keep users warm during summer months. You can probably stretch out the use of the Dryzzle Jacket (further than the Venture) to last through the fall, but certainly not winter. In the end, as always, it’s your intent that will determine which jacket is the best fit for you. The Varius Guide Jacket is designed for those who like to explore rough terrains in unguided lands. This is a rain jacket for the extreme adventurer, meant to withstand unpredictable and intense weather conditions. The Venture Jacket is more for your casual hiker or camper. It will keep you dry and warm in the outdoors. It can withstand the high volume of rain, but it cannot withstand rougher terrain. The Dryzzle is a good compromise between the two. More durable than the Venture, but more lightweight than the Varius Guide, the Dryzzle is good for excursions that are something in between the other models.